The group is modeled after the Europe Sport Security Association which monitors sports betting and sports events for fraud. 888Sport, PaddyPower/BetFair and William Hill are among ESSA’s members. According to SportTechie.com, ESSA was involved in the creation of SWIMA and the two organizations plan to work together to monitor integrity. Executives from MGM and Caesars’ will serve as the association’s trustees, and the group will be funded through stakeholders. “With sports betting being legalized in more and more states, SWIMA’s principal goal is to protect consumers, operators and other stakeholders from potential fraud caused by the unfair manipulation of events on which betting is offered,” said a SWIMA press release. Former New Jersey assistant attorney general and deputy director of the New Jersey Division of Gaming Enforcement George Rover will serve as the association’s chief integrity officer and will oversee daily operations. Stephen Martino, senior vice president and chief compliance officer for MGM and former chief gaming regulator in Maryland and Kansas, and Jan Jones, executive vice president of public policy and corporate responsibility for Caesars and former mayor of Las Vegas, will serve as SWIMA’s initial Board of Trustees. A full list of members was not released. Protecting the integrity of sports betting and related activity by detecting bad actors and discouraging activities that profit from unfair betting markets. Sports betting integrity monitoring is a hot topic as more and more states consider legalizing sports betting. Major League Baseball, the NBA and PGA Tour have actively been seeking a fee from states for integrity monitoring, but have failed to secure one so far. The leagues already monitor their sports to prevent fraud, and sportsbooks provide their own integrity monitoring, as well. 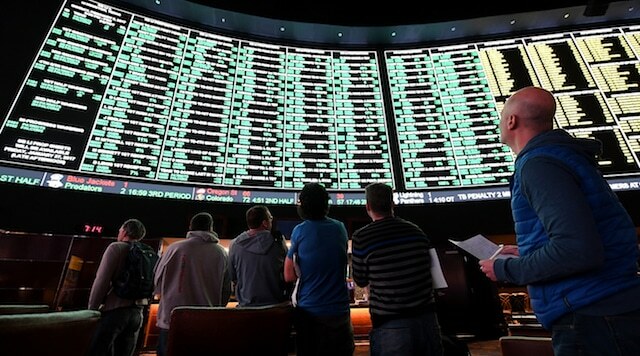 Since the Supreme Court struck down PAPSA last May, seven states outside of Nevada have legalized sports betting and six are accepting sports bets. Arkansas, which legalized sports betting via ballot initiative on Nov. 6, is the only legal sports betting state that has not opened for business.